In my opinion, your Valentine essentials consist of anything with chocolate; it's sort of the unofficial sponsor of Valentine's Day. But chocolate isn't always given, and if your special someone isn't a chocolate lover (hard as that may be to believe), I have an alternative dessert. I prepared a hazelnut cream apple tart with a hidden layer of mulberry preserves that I canned last summer. I'm sure your sweetie will be appreciate your sweet (no pun intended) gesture and that these little drool-inducing sweets will create special memories in his/her heart. 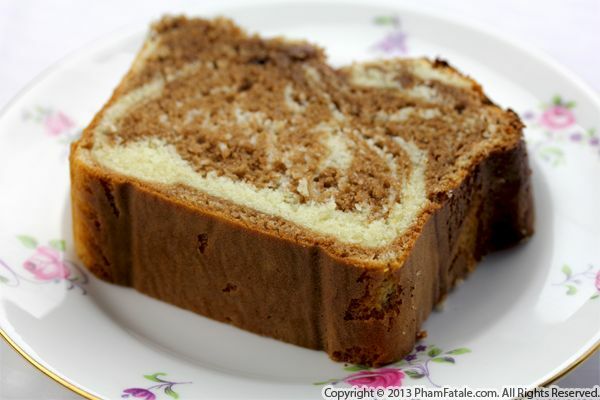 If you were born in the 80s and lived in France, you probably know of the marble cake called Le Savane de Papy Brossard. Ça a bercé mon enfance, which I'd translate to "it sweetened my childhood". This coffee cake is a marbré cake. The beauty of this cake is its appealing look once sliced with its gorgeously marbled, streaked appearance made of vanilla and chocolate. A generous amount of quality butter and a little milk made the cake moist and fluffy while milk chocolate provided the contrast in color needed for this sweet treat. I think the result was very close to the one I had when I was a child. My hope is that baby Aria will keep the same fond memories of this chocolate marble cake once she grows up! My girlfriend is coming over for lunch after we work out together and she's not a chocoholic, so I've had to rethink my normal dessert selection. This light pastry should get the job done. 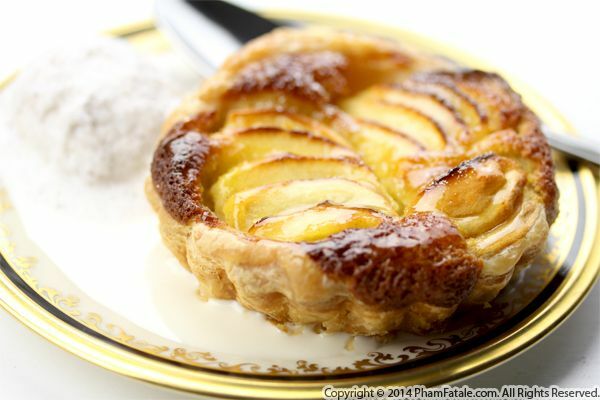 In French, it's called gâteau invisible aux pommes. 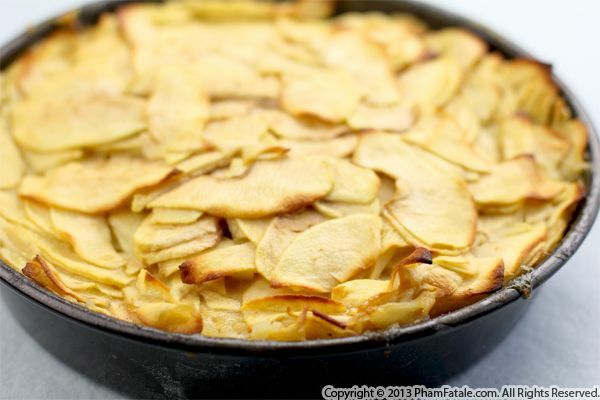 By its name, you've probably already guessed that it's a dessert made exclusively of apples. I would say it looks like a healthy version of a Dobos torte. 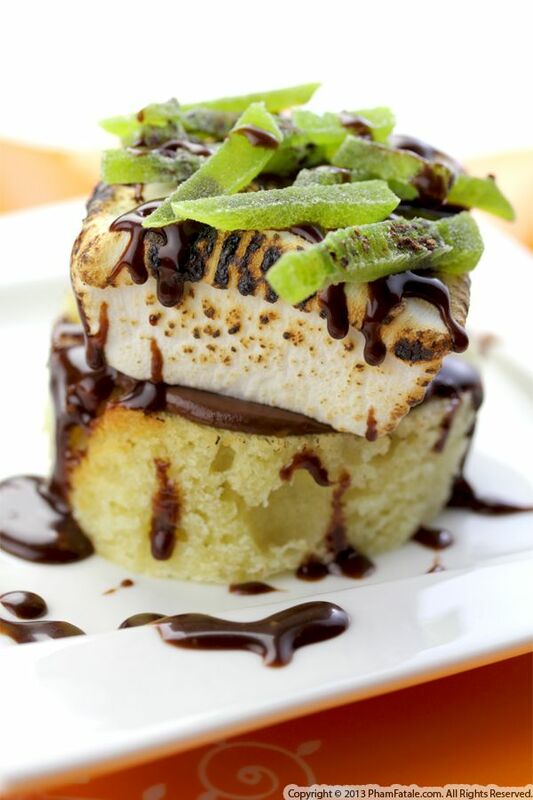 They're sliced paper-thin and coated in a delicate, evenly-distributed, layer of cake batter. 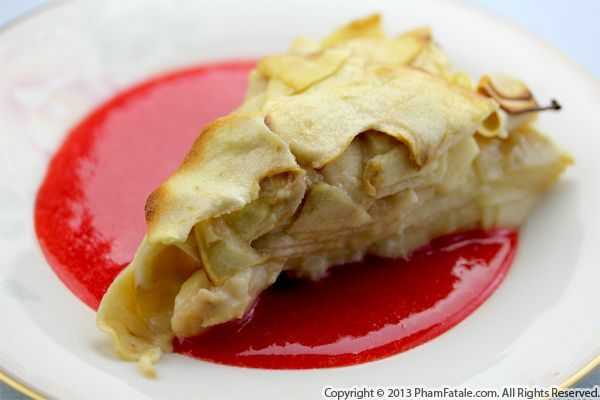 This creates a light, multi-layered apple cake. The apple slices are so thin, it makes the cake almost translucent once baked. The apples are soft, almost creamy. The hardest part is to wait to let it cool and set. In English, it's called drunken apple cake because it's traditionally covered with a caramel sauce (I often serve it with a caramel au beurre salé sauce) or a crème anglaise topping (light, thin, pourable custard) but I wanted to keep the dessert healthy so I substituted berry coulis using the strawberries from our garden. I haven't been able to harvest any apples yet though (I need to wait at least 2 more months for these!). I am beyond excited the weekend is here. This means it's dessert time and that my husband Lulu will be home after a week-long business trip. 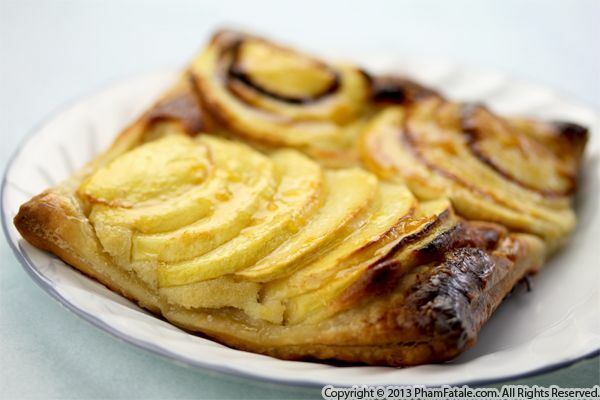 Lulu has a weakness for sweets so I'm sure he won't have any complaints about this apple tart. This French dessert is one of the easiest tarts to assemble, with only about 5 ingredients. It has an apple- sauce filling and is brushed with apricot preserves at the end for a shiny look.